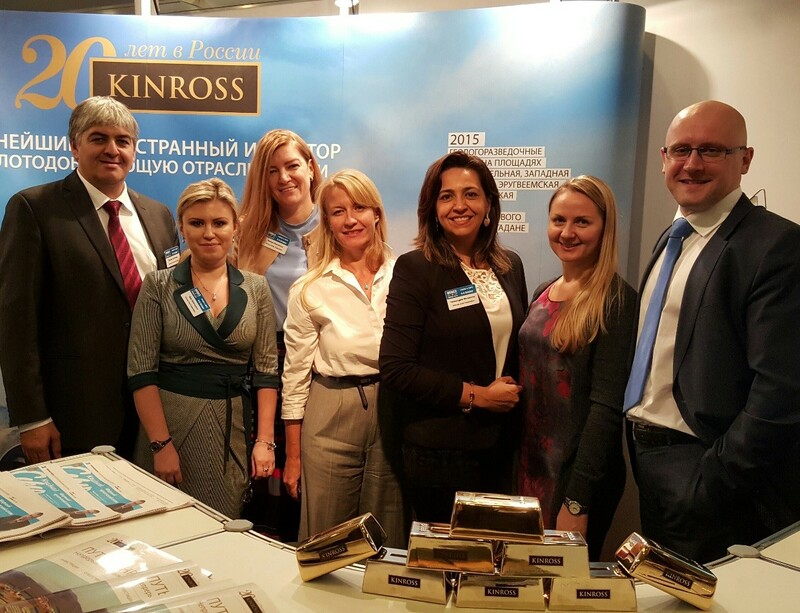 Kinross took part in the 11th annual MINEX Mining and Exploration Forum, Russia’s largest mining conference, to share best practices at our Kupol and Dvoinoye mines. The forum brought over 500 leaders together from across the globe, including our own Claude Schimper, Regional Vice-President, Russia and Lou Naumovski, Vice-President and General Director, Moscow in October. 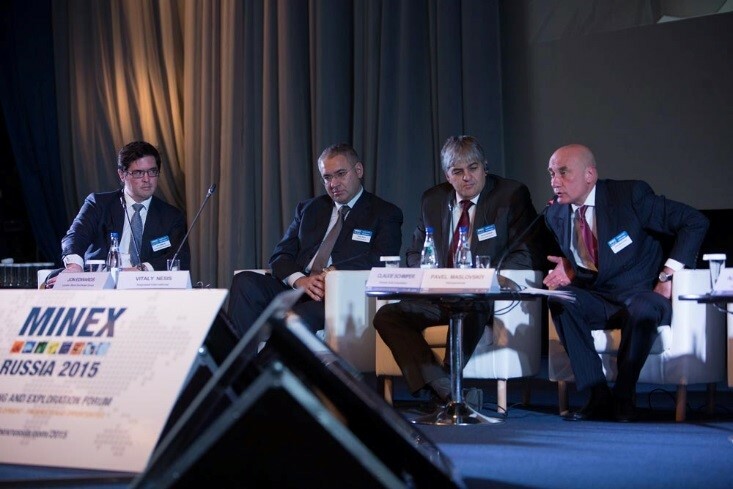 Claude and Lou took part in panel discussions to talk about recent technological advancements at our world-class mines and Kinross’ 20th anniversary of operating in Russia. Claude spoke about Continuous Improvement projects at both sites that have helped reduce costs over the last few years and safety enhancements such as installing anti-collision sensors in underground mining trucks. He also highlighted Kupol’s hydroponics program which produces large amounts of lettuce and arugula – an impressive feat in the challenging sub-zero climate where food is costly to transport. “Kinross was showcased as a mining leader in Russia,” said Lou. The Company’s economic benefit in the region was highlighted, including the 2,200 local jobs it has created and $211 million spent on local in-country procurement last year. The anniversary-themed Kinross booth was a popular destination at the forum.